The good, the bad, and the ugly in New Mexico's motorcycle culture: We don't have a helmet law, which feels great with that strong sun on your face and wind in your hair (but makes for some gnarly accidents). You can always find a ton of Harleys parked outside the small mountain towns at bars with names like Mine Shaft and Los Ojos. And we have biker gangs, like the Bandidos. 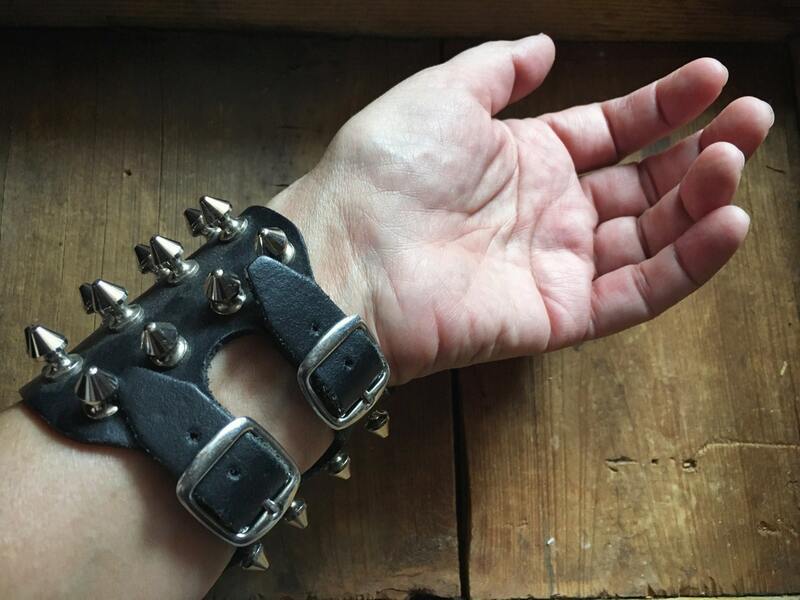 The good of all this is when you find an authentic spiked leather bracelet like the one here, you know it's the real deal. Not something created to make you feel like you're cool. 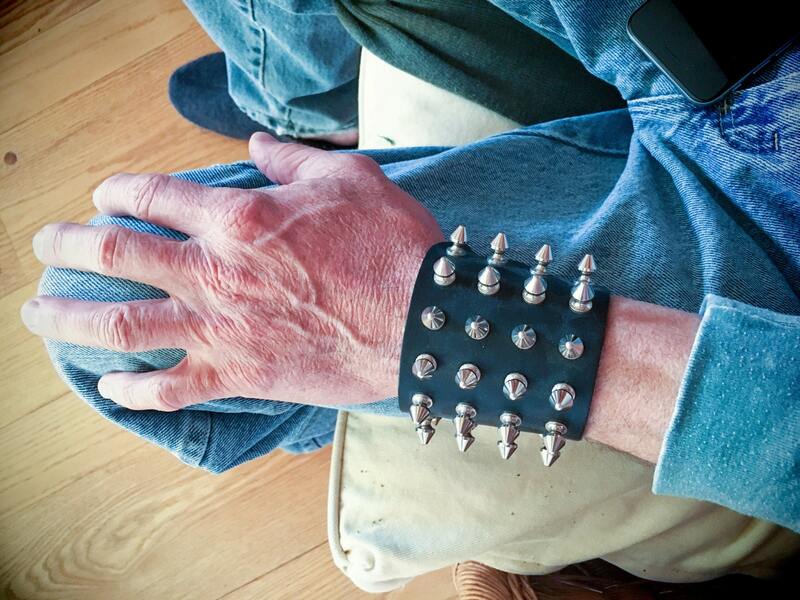 This one embodies cool because it IS authentic badass. And let me just describe the place where I bought this. About ten old guys and gals sitting around a fire on a cool late October morning, all dressed in Harley garb, motorcycles all lined up in the dirt out front. Their offerings were pretty much wasted leather chaps and old boots, and a few jackets out my price range. 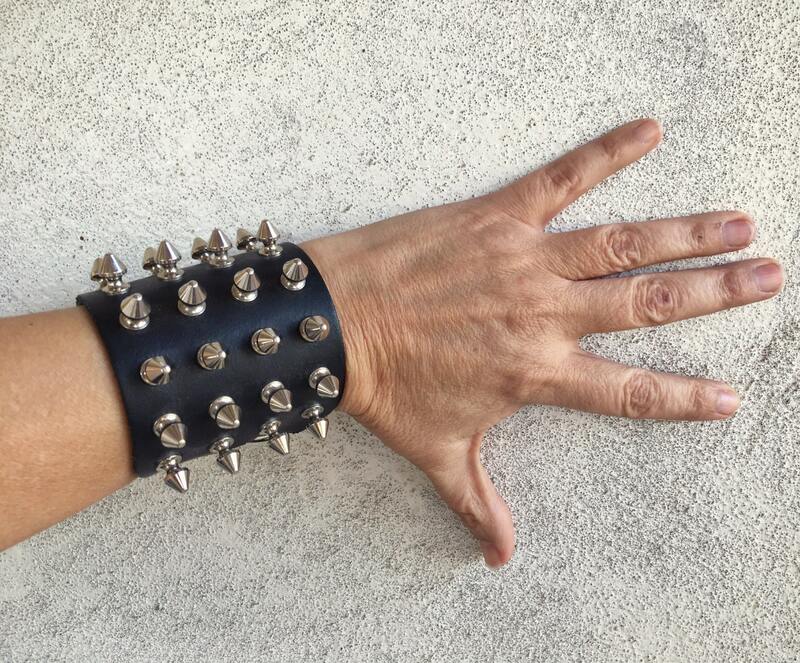 But this leather bracelet was the one thing I got. 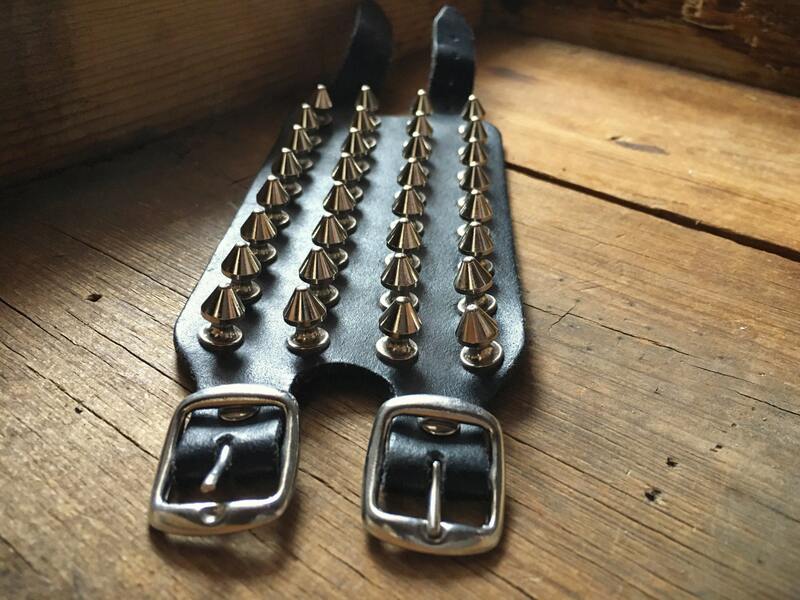 The spikes are steel, the buckles make it adjustable, and the leather make it unlike anything you can find today. 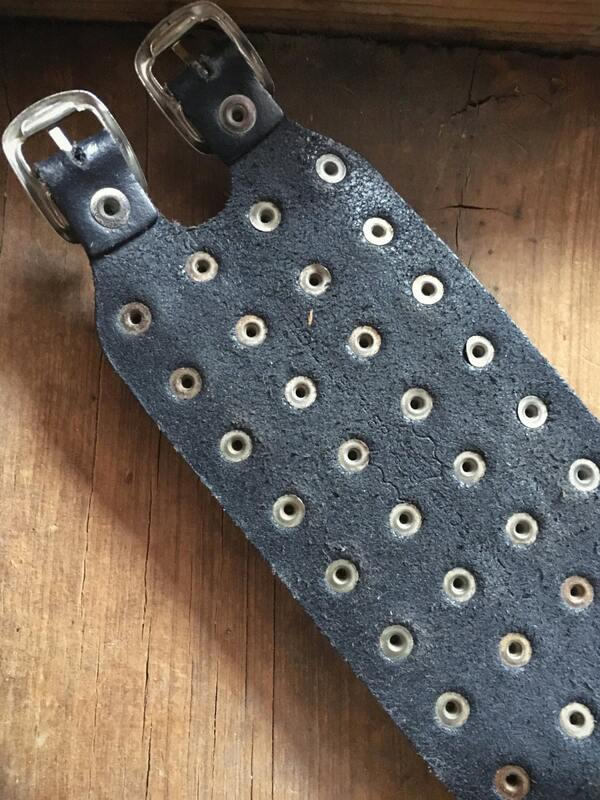 Measures just over 9" long from tip of metal buckle to tip of strap, by 2-3/4" wide. The distance from buckle prong to the first hole is 6-3/4" and to the furthest hole is 8", so ideal for a wrist that when you take a soft tape measure around it falls somewhere within those dimensions. All spikes intact, and although one of the rivets is bent on the interior, and some rusting on the interior, in good vintage condition. Marked REAL LEATHER, VERA PELLE, Made in Italy on inside. Because badass never goes out of style.